We see you, mama. Pregnancy, birth and postpartum is a JOURNEY - and sometimes you just need someone to walk alongside you. 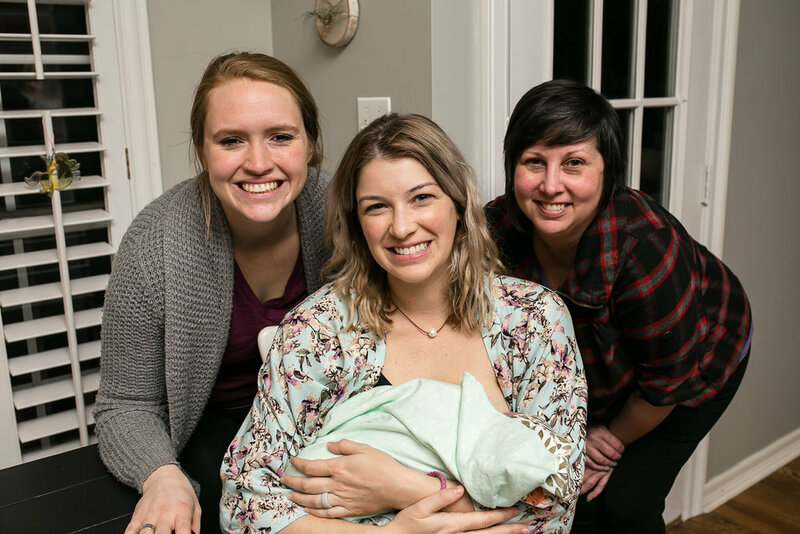 Enter Birth OK: We’re here to cheer you on, give you a tribe to lean on, and provide you with the best, evidence-based information out there from some of Oklahoma’s top physicians, midwives and birth workers. All in a FREE, online format that celebrates YOUR stories and makes an impact in your community. Physicians. Midwives. Doulas. Birth Photographers. Chiropractors. The List goes on and on. Having an incredible team around you on this journey to support and cheer you on might be the most important decision you make on this journey. From the moment of conception, to birth and beyond... Motherhood is easily one of the most beautiful (and challenging) journeys of your life: one that is made infinitely easier and more joyful when done in community. We're here to create a safe space for you to ask questions, explore your options, and laugh in the crazy moments so you can THRIVE, not just survive, as a mama. There is nothing quite as empowering as hearing the stories of others who have gone before you. Our state is full of amazing mamas with powerful birth stories... and it is our passion to make these accessible to mamas across OK. Grab a cuppa and a box of tissues and prepare to be inspired and encouraged as you explore the beauty of birth through these unique, life-bringing stories! Evidence-based information combined with real-life stories and features in a format that is both easy to read, and beautiful to look at. Sign-up below to receive a FREE digital copy of the magazine right in your inbox each time a new issue releases quarterly. Get excited for some amazing content headed your way!